Fig. 2. Example of a idealized eddy of 100 m (represented by a cloud) passing through a meteorological mast according to Taylor's Hypothesis of "frozen turbulence". If the fluctuation arrives to another turbine inside the time interval [-Ai , +Ai ], then the phase uncertainty in the frequency domain is [-2n f Ai , +2n f Ai] radians, where f is the considered frequency. When f > 0,5/ Ai, the phase is undetermined because the uncertainty of the phase excess [-n, +n] (i.e. a cycle). At frequencies a few times higher than 0,5/ Ai, the fluctuation of frequency f is experienced by other turbines with a random phase difference almost uniformly distributed and with comparable amplitude. In other words, the phase of the fluctuations in the frequency domain are uncorrelated stochastically at f > 0,5/ At although the amplitude could show a systematic behaviour. The spatial and temporal coherence statistically quantifies the variations of wind in different points in space or in separate moments of time. For convenience, the wind is sometimes assumed barely uniform in the area swept by the turbine. Based on this approximation, the equivalent wind is defined as the one that produces the same effects that the non-uniform real wind field. Although the wind field cannot be directly measured, its effects can be deduced from an equivalent wind that is usually derived from the measurements of an anemometer, because variations in time and space are related by the air flow dynamics. The equivalent wind speed contains a stochastic component due to the effects of turbulence, a rotational component due to the wind shear and the tower shadow and the average value of the wind in the swept area, considered constant in short intervals. The rotational effects (wind shear and tower effect) are barely related to wind turbulence. Since they interact with the drive-train and control dynamics, they are modelled as an additional term in the oscillations. The rotational/ vibration/ control dynamics are introduced in the equivalent wind as a mathematical artifice to reproduce the power oscillations observed in the turbine output. This simplification works relatively well since the vibration turbine dynamics randomize the real dependence of the generator torque with the rotor angle. The turbulence does not show characteristic frequencies and the wind spectrum is quite smooth from very low frequencies up to tenths of Hertzs. In contrast, rotational/ vibration/ control oscillations in the power output exhibit a more repetitive pattern with determinate characteristic frequencies. Apart from their frequency distribution, turbulence and other oscillations have similar stochastic properties and they can be modelled with the same mathematical tools. The combination of the small signal model and the wind coherence permits to derive the spatial averaging of random wind variations. The stochastic behaviour of wind links the overall behaviour of a large number of turbines with the behaviour of a single turbine. It should be noted that the travel time of the turbulence between the turbines is the very reason why fast fluctuations of turbine power generated by the turbulence are smoothed in the wind farm output. That is also the reason why a Gaussian processes is well suited to model the power fluctuations across a wind farm. Thus, the analysis carried out in this chapter is in the frequency domain for convenience. Moreover, this behaviour also relates the dimensions and geometry of the wind farm with the cut-off frequency of the smoothing (the smoothing depends also on the wind coherence and direction). The auto spectral density of the equivalent wind of a cluster of turbines can be obtained from the wind spectra, the parameters of an isolated turbine, lateral and longitudinal dimensions of the cluster region and the decay factor of the spatial coherence. Fluctuations due to the real wind field along the swept area, vibrations and control effects are added to the equivalent wind modifying its spectra. Thus, they can be aggregated in the equivalent wind, provided a turbine transfer function among the power output and the equivalent wind is stated. The turbine transfer function transforms the equivalent wind oscillations into power oscillations. This simplification works relatively well since the turbine vibration dynamics randomize the turbine output and the high frequency turbulence at different turbines has a similar a stochastic behaviour than the rotational/vibration/control oscillations: at high frequencies, fluctuations from turbulence, vibration, generator dynamics and control are fairly independent between turbines, statistically speaking. The combination of the small signal model and the wind coherence permits to derive the spatial averaging of random wind variations. Since fast turbulence and rotation/ vibration/control oscillations are almost stochastically independent among the farm turbines, their outcome can be assessed analogously, although their respective sources are very different physical phenomena. Thus, the overall behaviour of a turbine cluster (with more than 8 turbines) can be derived from the behaviour of a single turbine using a Gaussian model. The wind farm admittance is the ratio of the fluctuations observed in the farm output respect the typical behaviour of one of its turbines. The wind farm admittance can be estimated from experimental measurements or from parameters of an isolated turbine, lateral and longitudinal dimensions of the cluster region and the decay factor of the spatial coherence. Although the model proposed is an oversimplification of the actual behaviour of a group of turbines scattered across an area, this model quantifies the influence of the spatial distribution of the turbines in the smoothing and in the frequency content of the aggregated power. This stochastic model is in agreement with the experimental data presented at the end of this chapter. The interaction between wind fluctuations and the turbine is very complex and a thorough model of the turbine, generator and control system is needed for simulating the influence of wind turbulence in power output (Karaki et al., 2002; Vilar-Moreno, 2003). The control scheme and its optimized parameters are proprietary and difficult to obtain from manufacturers and complex to induce from measurements usually available. The turbine and micro-meteorological dynamics transform the combination of periodic and random wind variations into stochastic fluctuations in the power. These variations can be divided into equivalent wind variations and almost periodic events such as vibration, blade positions, etc. Turbulence, turbine wakes, gusts... are highly random and do not show a definite frequency (S0rensen et al., 2002; S0rensen et al., 2008). 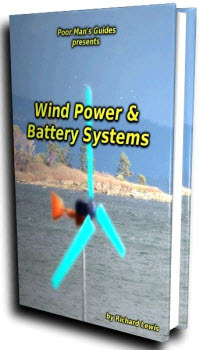 Non-cyclic power variations are usually regarded as the outcome of the random component of the wind. They concern the control (short term prediction) and the forecast (long horizon prediction). Artificial Intelligence techniques and advanced filtering have been used for forecasting. Power fluctuations of frequency around 8 Hz can eventually produce flicker in very weak networks (Thiringer et al., 2004; Amaris & Usaola, 1997). Both current and power can be measured directly, they can be statistically characterized and they are directly related to power quality. Current is transformed and its level depends on transformer ratio and actual network voltage. In contrast, power flows along transformers and networks without being altered except for some efficiency losses in the elements. That is why linearized power flows in the frequency domain are used in this chapter for characterizing experimentally the electrical behaviour of wind turbines. A priori estimation of power fluctuations requires thorough models of the wind turbines and turbulence. However, an empirical analysis is much simpler since distinct fluctuation sources usually present characteristic frequencies or some trend in the spectrum. In the following sections, a phenomenological and pragmatic approach will be applied to draw some conclusions and to extrapolate results from empirical studies to general cases. The tower shadow, wind shear, rotor asymmetry and unbalance, blade misalignments produce a torque modulation dependent on turbine angle. This torque is filtered by turbine dynamics and the influence in output power can be complex. The signals cannot be considered truly periodic because neither the characteristic frequencies are constant (rotor speed is not constant and hence, the frequency of fluctuations induced by rotational effects) nor the frequencies are harmonically related. Some frequencies cannot be expressed as multiple of the others because the tower, blades and cinematic train present characteristic structural resonance frequencies different from the blade passing the tower frequency, fbiade. 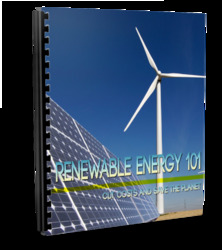 Moreover, turbine control, electric generator and power electronics introduce oscillations at other frequencies. The turbulence adds a "coloured noise" overimposed to the former oscillatory modes, modulating cyclic vibrations and influencing rotor speed. The actual power is the outcome of many processes that interact and the analysis in the frequency domain is a simplifying approximation of a system driven by stochastic differential equations. The first problem when analyzing power variations is that the contributions from rotor sampling, vibration modes and turbulence-driven variations are aggregated. The second difficulty is the fact that frequencies of almost cyclic contributions are neither fixed nor are they multiple. Fourier coefficients are defined for periodic signals, but the sum of periodic components not harmonically related is no longer periodic. The third difficulty is that frequencies of contributions are overlapped. Fortunately, characteristic frequencies (resonance and blade frequencies and its harmonics) have narrow margins for given operational conditions, producing peaks in the spectrum where one contribution usually predominates over the rest. The forth difficulty is the turbulence, that introduces a non-periodic stochastic behaviour interacting with periodic signals. Different mathematical tools are customarily used for periodic and stochastic signals, increasing the difficulty of the analysis of these mixed-type signals. The cyclic fluctuations of the turbine power can be considered in the fraction-of-time probability framework as the sum of sets of signals with different periods with additive stationary coloured noise and, hence, almost cyclostationary (Gardner et al, 2006). Since wind power is formed by the superposition of several almost cyclostationary signals whose periods are not harmonically related, wind power is polycyclostationary.